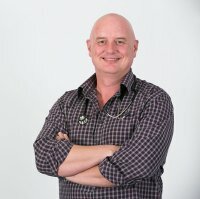 Dr Simon Lemin graduated from University of Queensland in 1990 and after 7 years in general practice, switched to the challenges and stimulation of emergency practice. He joined forces with Rob Webster to establish Animal Emergency Service in 2005. Dr Lemin is President of the Emergency and Critical Care Chapter of the ANZCVS and is continually striving to improve medicine and surgical capabilities. “Animal Emergency Service gives me the ability to work at the highest clinical standard available. Never compromised by lack of resources, with the most talented team of vets, nurses and admin staff.” Simon’s interests are emergency surgical intervention and ventilator medicine.